Embraer and Binter, from Spain, have signed a multiyear Total Support Program (TSP) agreement to support the airline’s new E195-E2 fleet, Embraer’s second generation of E-Jets. 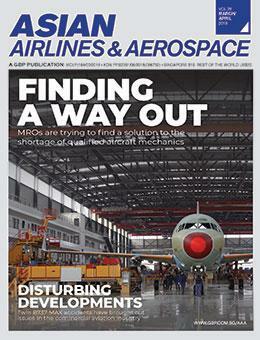 Embraer made the announcement on April 10, during MRO Americas at Atlanta. The Total Support Program, dedicated to E2 customers, is a new product offered by Embraer TechCare that is designed to allow airlines to minimize their upfront investment on repairable inventories and resources. The program will also provide airlines with Embraer’s technical expertise and its vast component repair service provider network. The E195-E2 is the second of three new aircraft models that make up the E2 family of aircraft. Embraer Services & Support currently supports 100% of the E-Jets E2 delivered by offering a package of services customized for each customer and their business needs.